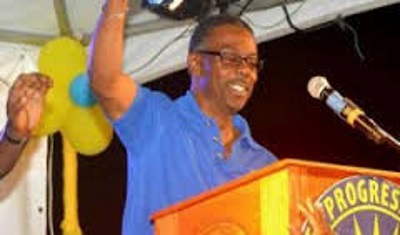 ST. JOHN’S, Antigua, Mar 27, CMC – The leader of the main opposition United Progressive Party (UPP), Harold Lovell, says the party has started the process of preparing itself for the next general elections, a few days after it suffered a near total whitewash in a general election in Antigua and Barbuda. Lovell, who was among the casualties when the ruling Antigua and Barbuda Labour Party (ABLP) won a convincing 15-2 victory in the March 21 poll, said the party needs to do “deep searching and we have to make certain we are prepared for the next election”. The UPP won just one seat in the election down from the three it had following the 2014 general election. The other seat was won by Trevor Walker of the Barbuda People’s Movement (BPM). Lovell, who has not been named among the Opposition Senators in the new Parliament, said “the process of getting ourselves on track for 2023 or when it (general election) is called, that process has started”. He said that the party was also seeking to determine just how many votes it had accumulated in last Wednesday’s general election, noting that its figures are different that those put released by the Antigua and Barbuda Electoral Commission (ABEC). “The Electoral Commission has posted it at 14, 440. So I have been in touch with somebody at the Electoral Commission drawing their attention to the fact that our numbers are different to theirs. We will try to have that remedy over the next day or two,” he said. He said the party had a person from one of the key accounting firms here “double check it for us and that person came up with just over 15,000”. Lovell, who led the UPP into a general election for the first time on Wednesday, has not indicated whether he intends to step down following the defeat. But Barbados-based regional political scientist, Peter Wickham, said his absence from the senate, is a wise move by the party. “The names I’m hearing sound like they are reflective of a level of political maturity. 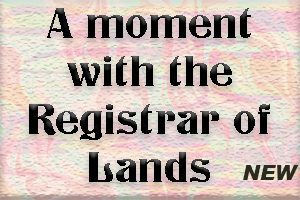 I think it is wise for Mr. Lovell not to take up a seat, and I think it probably signals a concession on his part that he will not be part of the UPP’s politics going forward,” Wickham told the Antigua Observer newspaper.